PayPerClick are a Google Premier Partner Agency with an experienced team of Google Ads qualified professionals that can effectively build new campaigns, optimize existing campaigns and develop Paid Search Strategies – designed to grow your business. PayPerClick are experienced analysts that work on some of the biggest spending accounts in Australia across multiple industries – such as the arts, finance, travel, accommodation and tourism. The Google Ads system is constantly changing, and campaigns require constant care. The belief that campaigns are “set and forget” shows little initiative to test and learn and grow and improve performance. 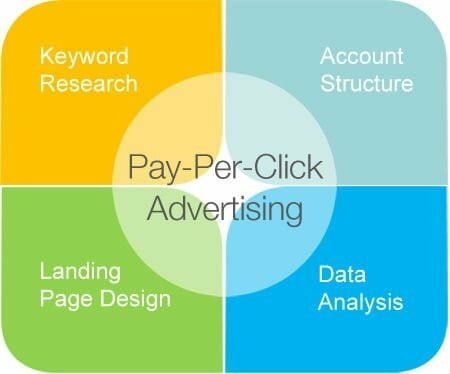 PayPerClick has years of experience and have proven strategies that will grow a campaign’s performance. Google Ads offers businesses a great variety of campaign types including search, display, remarketing, video, app and more. PayPerClick will develop a custom strategy for every business focused on objectives and track each channel’s performance. Optimised campaigns that are dutifully cared for. Landing page insights and advice. Google Analytics tracking and performance specialists. Insightful reporting with monthly WIPs. For more information on how PayPerClick can assist your company using Google Ads Campaigns please call call +61 2 9970 8486 or contact us.